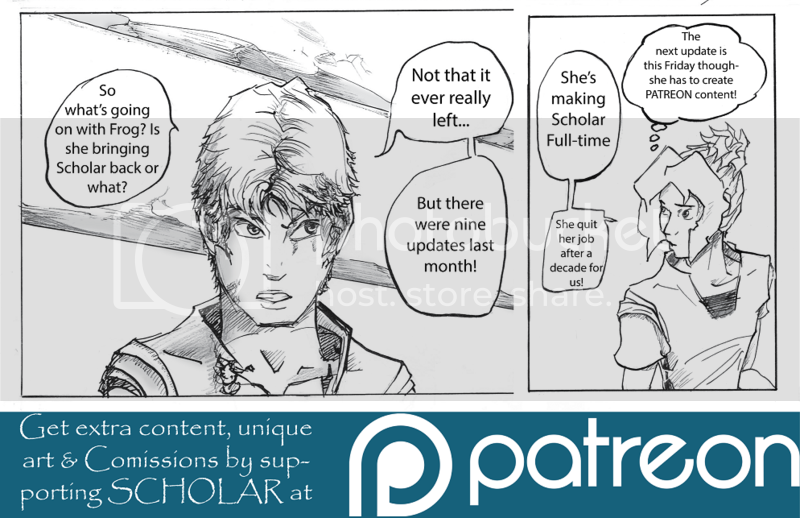 Scholar is the story of Eny, a kidnapped Prince forced to serve his captors as they seek to steal life (and ability) away from the people he cares about. 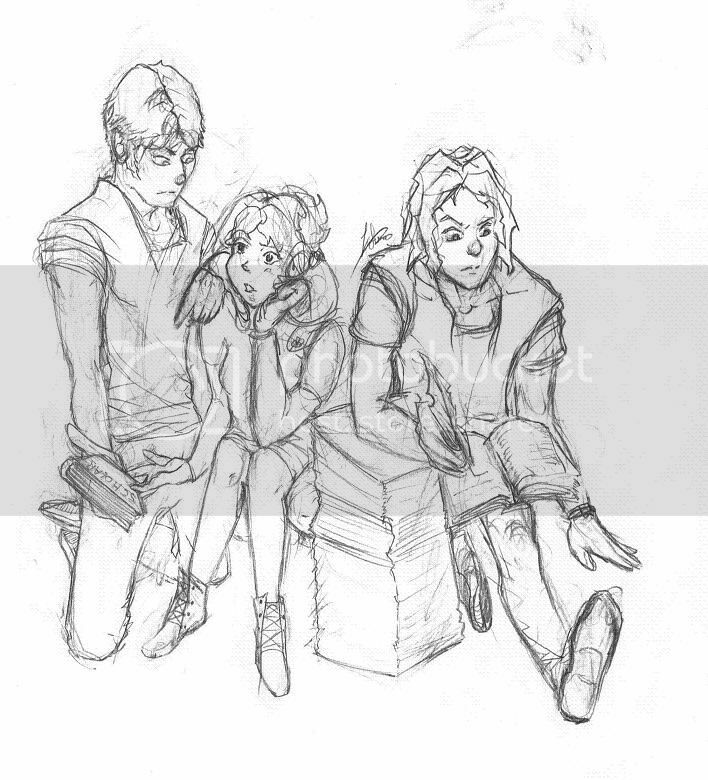 He is joined by his temperamental (or just mental) co-conspirator Ivan and the kind yet naïve newcomer Shiloh. This is where it all begins! 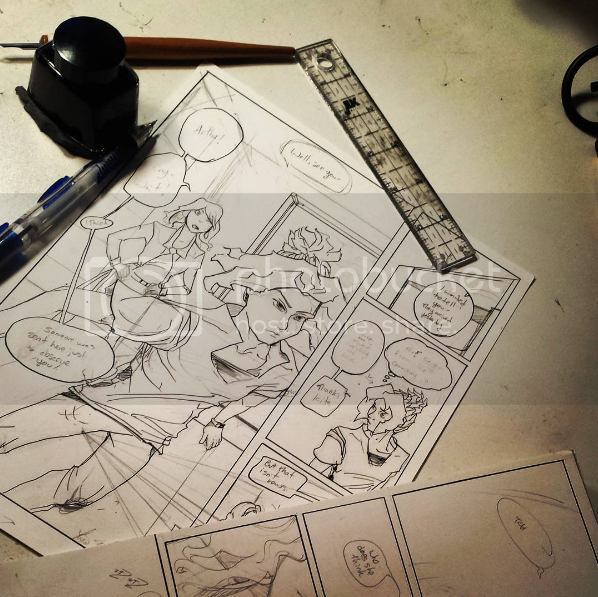 Here I will be making more advanced updates, colored covers, bonus pages, LOTS of world building and behinds the scenes content and the potential for rewards like livestreams, Patreon Cameos (or character cameos) in the comic itself and of course, ricelessley your feedback as fans and the ability to that your suggestions can change things! I also plan to offer commissions (sketches, portraits or character sheets) whenever it is possible. Access to the Audio Vault! One of the key ways I've kept myself in sync with the story and world of Scholar over the years is though Audio Notes! These are recordings I make on my own time that I can reference later that help me build the story itself. Usually I'm talking to myself in them, but there's a healthy dose of potential spoilers in each one because it's often one of the first things I do when I can't figure out a plot point- talk to myself and listen later to see if it sounds crazy or the idea is strong enough to build on. That means that a LOT of things may have changed, or the opposite, you may just learn a LOT more than I want you to know! I will add to the vault as more recordings become 'declassified'. -World building. New world data will come out on Thursdays avail for any pledge level. The world of Scholar is huge. There are 22 tribes of the ancient realms, all with inherent abilities depending on genealogy. Not every tribesman or woman actually has ability and it depends on how the tribe has developed over time. For example, Shiloh is from Tribe 16, Hethrosong, and she has (like many of her people) the ability to heal. Unfortunately this also makes her a target as her ability or 'essence' can be siphoned off for use on the battlefield and in medical facilities. -Eny's Advice Guide! At this pledge level you will gain access to advice from the Scholar himself (assuming you asked him a question). Keep in mind he will use his experience to answer and you may suggest topics, but he doesn't know what you don't tell him, or what other people in the story haven't told him yet! Guide will update once a month. -He writes in his own 'voice', so readers are treated to the experience as if they were a enw recruit at SERIN reading his circular on survival! -You may send one ilustration a month to the creator of Scholar for objective, technical critique (not story or aesthetic advice unless you want that). You gotta start somewhere, right? Please specify if you are okay with the advice being shared on the Patreon page for others to appreciate as well, otherwise this will be a private conversation via email. -Drawing tips, tricks and mistakes to avoid! Scholar is traditionally made and I use the computer as little as possible. I will offer drawing tips, advice, sources I use in my art and even tutorials at this level as they are made. -Sketch in box! At this pledge level I will send a new colored sketch of a character from Scholar and send the hi-res image to your inbox once a month. -Join the Oniadion Tribe of your choice! At this pledge level I will create a Scholar version of you as a character from Scholar (I cannot guarentee you will appear in the story, but you may think of this as your 'concept art' just in case. I add new characters to the story often but not all Tribes will appear in all arcs of the story. Please note that the Tribe you want to be a part of must already be online in the published pages of Scholar. -I wil also send you a questionaire to fill out to determine what powers (if any) your character may have. Some Tribes have very few 'ability users' so choose carefully (for example Eny's Tribe Shreyan has many, but in Shiloh's Tribe of Hethrosong most ability users are women). My dream is to have an American manga that is fast paced and enjoyable! At this tier level I will be able to create Scholar on a regular bi-weekly basis (this pays the bills and for art supplies).